Do You Struggle with Sticking to Paleo? During my nearly 6 years building The Paleo Mom, I’ve learned there’s really one great barrier to making a Paleo diet stick: relearning out how to navigate a kitchen. At the same time, I’ve been fielding your questions about cooking techniques, recipes, modifications, baking and so much more. I’ve collected all these tips, tricks and best practices into a single resource for you: my brand new e-book, The Paleo Mom’s Kitchen! 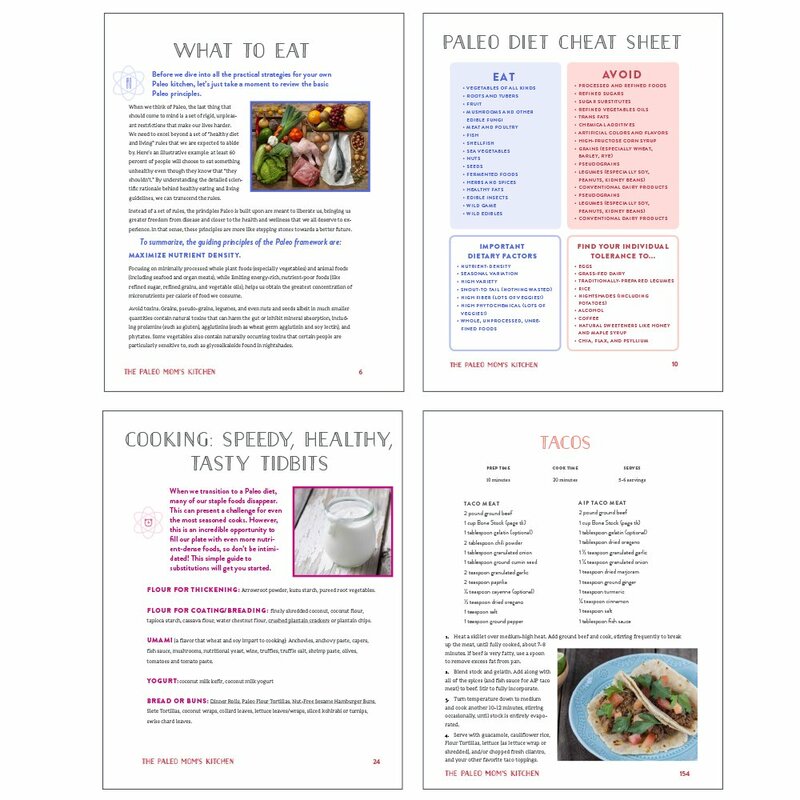 Inside, you’ll find a complete, thorough guide to cooking for a Paleo household. We’re talking everything from grocery shopping to stocking your pantry to baking modifications and more. I’ve included a list of my favorite gadgets, insights into feeding your kids Paleo (with tips for both young and school-aged children), life-saving snack suggestions and simple meal templates. Plus, The Paleo Mom’s Kitchen includes 78 of my best recipes! Discover my best tips, tricks and strategies for making Paleo cooking fun and inspiring inside The Paleo Mom’s Kitchen. Get The Whole Family On Board! In many ways, this e-book is a look inside my own kitchen. It’s my chance to guide you through building a sustainable pattern of healthy cooking and eating that I know will improve your life and the life of your family. I wanted to pack as much information into this e-book as possible, so it could be a one-stop-shop for anyone hoping to get in and out of the kitchen and on with their lives! This e-book offers something for everyone, whether you’re new to Paleo and don’t know where to begin or are just looking to get inspired in the kitchen once again. No matter where you are in your Paleo journey, I’ve been there too! I designed this book to be a helpful resource for everyone. 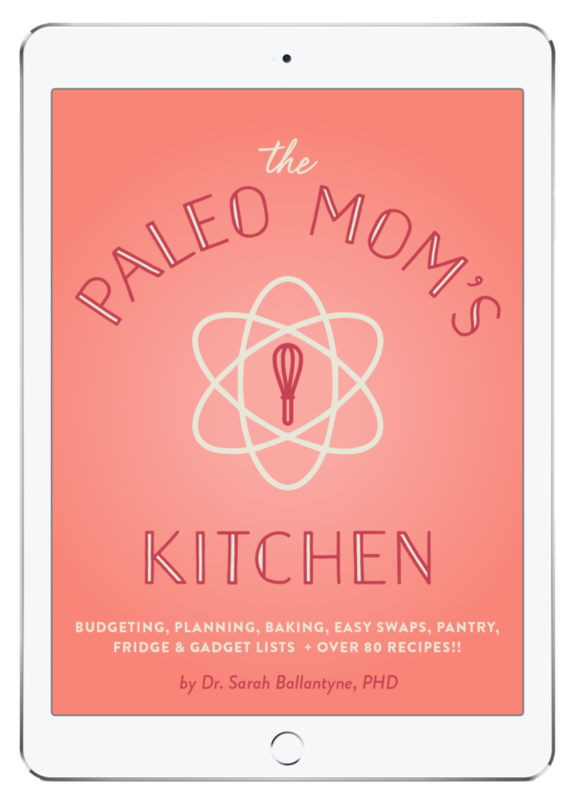 Get organized and inspired with my best tips, tricks and strategies for your Paleo kitchen! GET INSTANT DIGITAL ACCESS FOR ONLY $14.99!